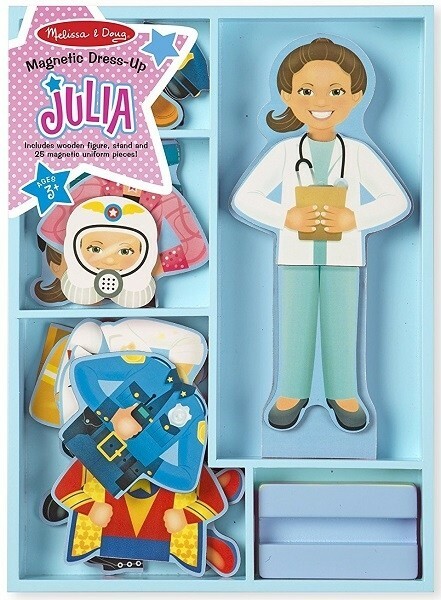 Whatever job Julia decides to take on, she can be dressed for success! Whether it's an astronaut, firefighter, doctor, superhero, artist, rock star, chef, or police officer, she is ready to tackle many tasks at a moment's notice. 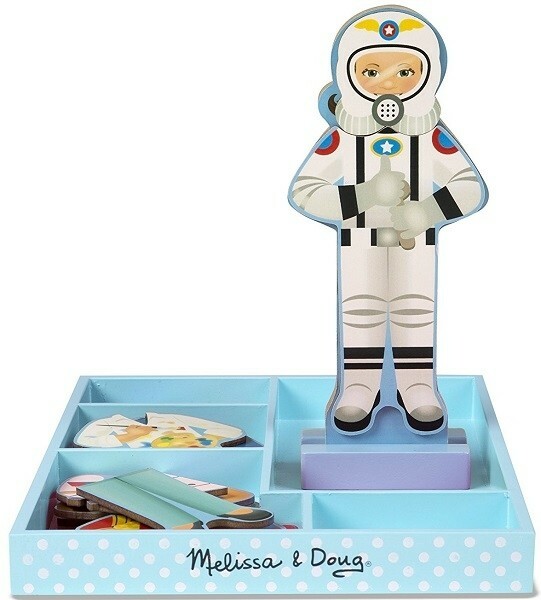 This set from Melissa and Doug includes a magnetic wooden dress-up figure with a wooden stand and 24 magnetic clothing pieces to create eight occupational uniforms and outfits. The doll, stand, and pieces all store in a sturdy wooden tray. 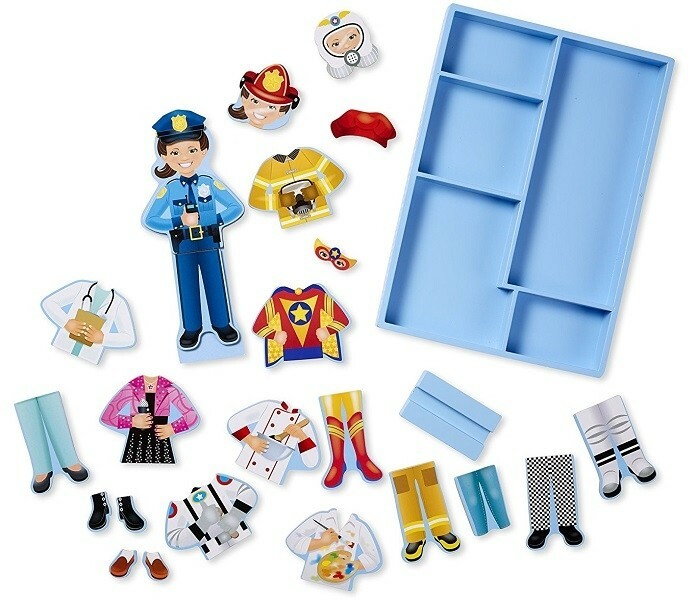 This unique dress-up doll helps kids three and older develop hand-eye coordination and fine motor, counting, and sorting skills, and encourages creative expression and imaginative play.